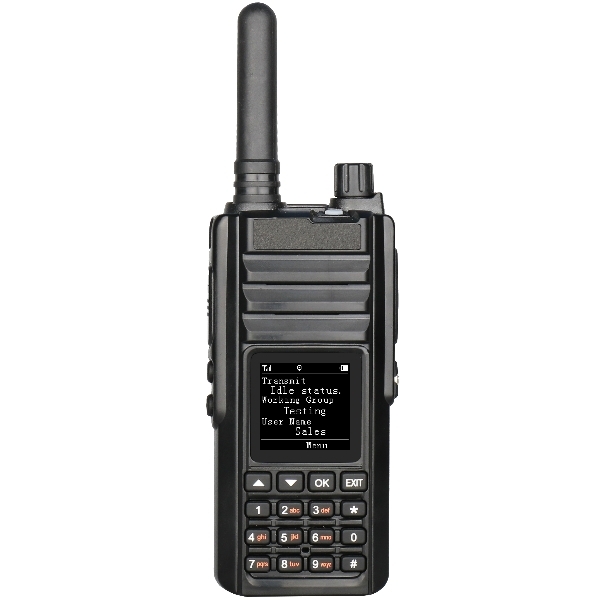 POC radios are the next quantum leap in communication technology, leveraging the extensive cellular data network from the 4 major mobile operators in the UK providing excellent coverage across the UK. Scalability across the EU, US and Africa are also possible with the correct SIM and data plan. The CM-300 can be used in a car or fixed on a desk. It allows the operator to change groups and make single calls using the 5 keys and its LCD display. The CM-300 has a small GSM / WCDMA antenna so no holes need to be drilled for mounting. The CP-300 is a robust, simple to use device that offers the standard user the ability to make group and single calls using the built in voice annunciation function and side keys. 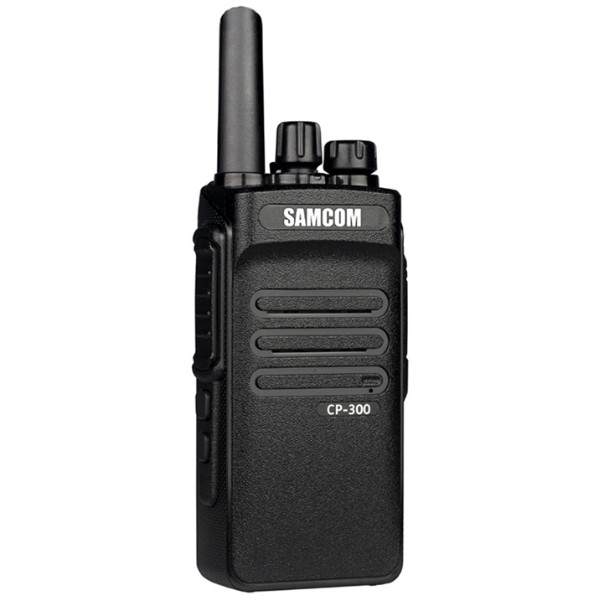 The CP-300 is a tough and small daily device which can slip into your pocket easily. 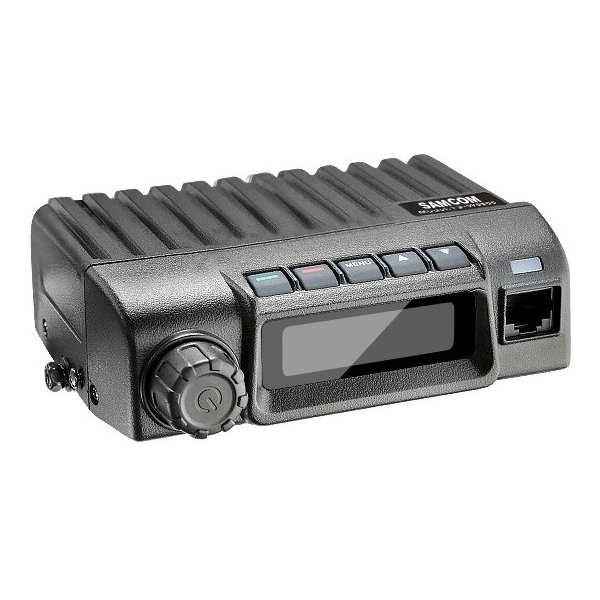 The CP-320 gives you the ability to control multiple users and groups on the go. This device is most commonly used by managers. The CP-320 allows its user to make regular phone calls from its keypad. 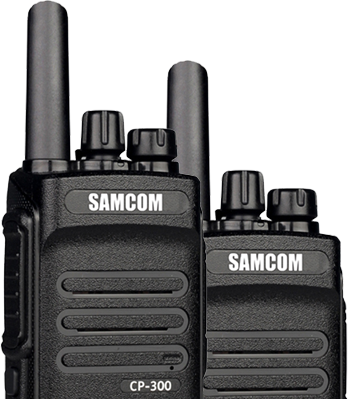 This walkie talkie is also small in size allowing it to be carried around easily. 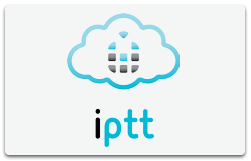 Every device on the iPTT network needs a user license. This also gives you all the features like GPS and call recording. The license can be transferred from device to device, but two devices can’t use the same license at the same time. Dispatcher clients also need a license to be able to access the software. The IPTT Anual UK Multi Network Roaming Sim automatically changes between three : O2, EE and Vodafone, giving you the maximum coverage possible over all 4 mobile networks. 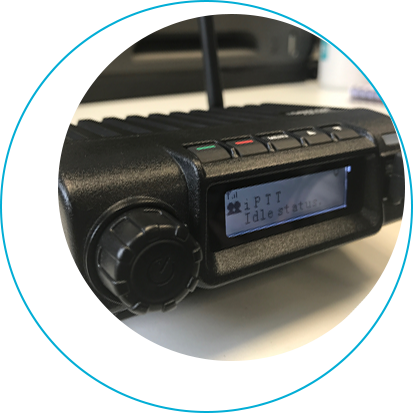 With such an unique creative system like iPTT we believe that the iPTT multi-network SIM gives you the best combination of value and performance if you’re using the two way radios in numerous locations across the UK. We also offer both EU and USA SIM cards. Our SIM cards come with enough data to use for a full year (fair usage policy applies) so no monthly costs. 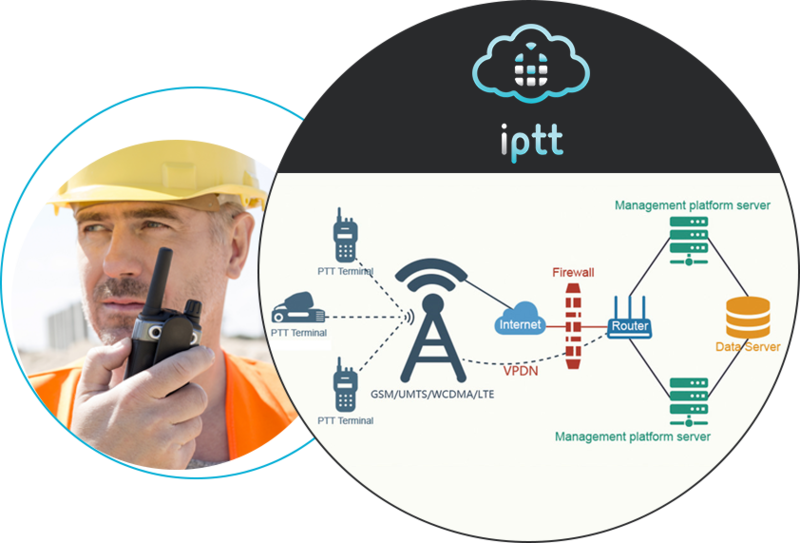 The IPTT dispatcher gives you the oppurtunity to track your handheld and mobile devices nationally and internationally. 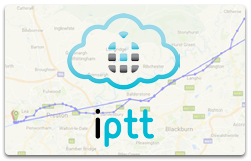 With the IPTT dispatch screen you will be able to track devices in real time, to pinpoint where the exact location of the device is. This dispatch package also gives you historical data showing the speed as well as the route taken ensuring you are working at optimum efficiency. Some construction workers find it difficult to connect to another worker due to amount of floors and interference in their site, this then requires them to invest in a repeater to strengthen the range ability of the walkie talkie. However, with the iPTT system you would have no problem with range and would have no need to invest more in a repeater. Security is very important for the safety of others, if you work in a security firm where you have contracts for concerts or festivals, staff are never more than 1KM apart so traditional two way radios will work fine. However, if you work with marathons and bigger events it is crucial staff members are always connected, for this you will have to heavily invest in repeaters. iPTT radios will solve this problem for you allowing you communicate locally, nationally or internationally. 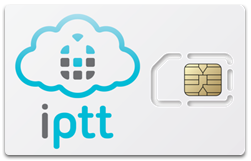 If you’re still not sure about the iPTT products give us a call we can we can answer any questions you may have and then set up a 7 day free trial so you have the chance to explore the iPTT system.